Deserving it's "Middle of the Road" badge, this sauce neither impresses or lets you down, it merely delivers a standard barbecue flavor that doesn't do much to go beyond the basics. This post brings me halfway through my Garland Jack reviews—three down, three to go. With six sauces, this sub-brand of Kraft puts out a good showing on supermarket shelves. They offer a variety that's more diverse than the other top competitors, really tailoring each sauce to bring out its unique qualities. 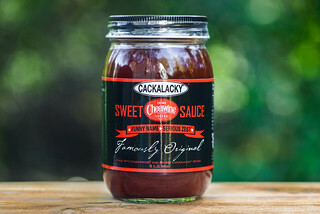 Beyond the product line, I don't have much insight into how these sauces were developed—everything you find on their website are stories dreamed up by marketers to add mystique to the Garland Jack name. This sauce has a smoky and sugary aroma. Tilting strongly toward molasses, that sweetness is cut by vinegar, which provides a balance between sweet and tart. The tomato base is a little drowned out, but does have the deep and acidic nature of tomato paste. There's a discernible onion component, with a much more mild garlic that only comes out after subsequent sniffs. This viscous sauce weighs in between medium and super thick. It's not thick enough that all the sauce clings to a suspended spoon, but what does fall, it all goes in one big chunk, leaving a still very heavy coating left clinging. The sauce is an opaque reddish-brown, with a smooth and glossy look. Very few spices can be seen through its dark color. A strong, sweet molasses flavor sticks with the sauce from start to finish. Quickly after first taste, a heavy handed vinegar mixes in and adds a tartness that's defining to the end as well. The tomato base is slightly fruity, but any sweetness from the tomato is overtaken by the more dominant molasses. The onion and garlic components that came out in the aroma are harder to pick out in the flavor, as the succumb to the vinegar and sugar. There is a light spice at the end that adds a very mild heat to the final tangy aftertaste. The sauce coated the chicken evenly, baked in well, and develop some attractive caramelization over direct heat. It made for a glossy and pretty piece of chicken. The flavor didn't quite match the looks though, as it mellowed out from out of the jar. Tomato and molasses were the top players, while the vinegar petered out to only a mild tang. It was balanced alright, but ultimately underwhelming. This sauce really deserves it's "Middle of the Road" badge. It certainly brought all the players to the barbecue sauce party, but didn't do anything to make them stand out from the sauce next to it. It wasn't bad, but also nothing to get excited about at the same time. Out of the jar the sauce had a very manufactured feel, with corn syrup creating a thick and sugary sauce that relied on the commonplace molasses, vinegar, and tomato to deliver almost all of the flavor. Some undertones of onion, garlic, and liquid smoke gave it depth, but it was nothing to write home about. Over the fire, the sauce displayed fantastic grilling qualities, but the flavor fizzled out from being ok to merely ho-hum. It's an inexpensive sauce, and I feel like it's delivering a slightly better product than most others at the same price point, but it's a very "you get what you pay for" relationship—just don't expect it to wow in anyway. I found your review through Twitter. Good stuff..I've been wondering about these sauces but no so much as to spend any cash on them. I like the molasses/tomato/vinegar combination and its tough to find that (even halfway good) in a package product. Will probably pick some up. This bbq sauce has no corn syrup. The first ingredient is sugar, not corn syrup. The stores here have replaced Garlands original bbg sauce with Weber sauce's. Has there been a buy out or have you changed your business name? I want more of your sauce. How can I get it? Great tasting BBQ sauce, I bought your Hickory Spice BBQ Sauce out of close out basket at Walmart. What major food store carry your product? 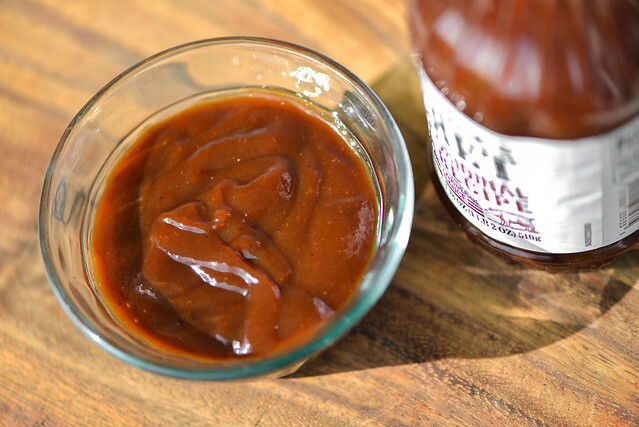 This is an all-around bbq sauce that anyone would enjoy. And it's the only one I've found that doesn't have high fructose corn syrup. PROBLEM - I can't find it in any of the stores I use to buy it! Anyone have any info? 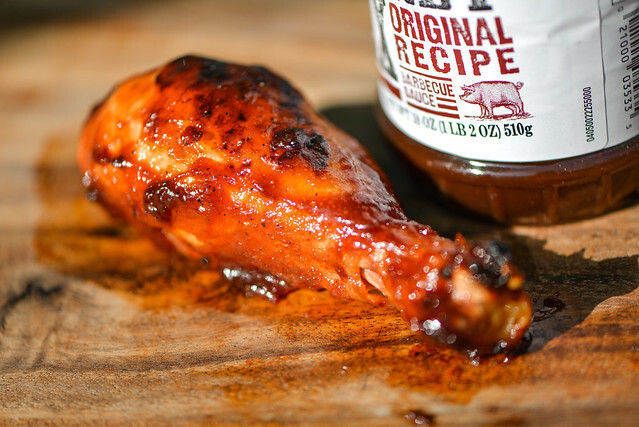 I found this link and left a comment, asking where can I purchase this BBQ Sauce. Aways bought at Bi-Lo. All of a sudden discontinued. Why ? Great sauce withouy high frutose corn syrup . All I can say is, it taste better than Kraft BBQ sauce..
Why would they stop making a bbq sauce the uses real sugar instead of high fructose corn syrup. The article at the top of this page says it has high fructose now, not real sugar. Then the comment says they quit making the sauce all together. That is about right, to have a product that is good and no fructose they stop making all together. WHY IS THIS SAUCE NO LONGER ON SHELVES?? Hey everyone: I've been searching for this sauce because it's delicious and (unlike the information given here) it has real sugar rather than high fructose corn syrup. But it's no longer for sale anywhere! Why? 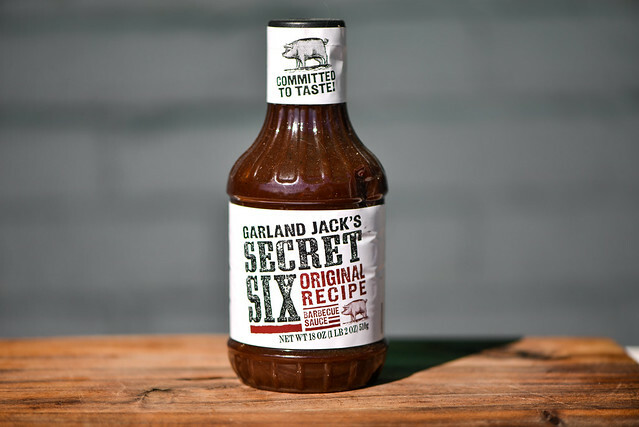 JACK'S SECRET 6 still exists... as KRAFT ORIGINAL BBQ. Sarah Warner, this may sound crazy, but take a look at Kraft's "Original" BBQ sauce (not their mesquite, spicy, or any other kind--just the original). Once I learned that Jack's Secret 6 was actually a well-marketed front for Kraft, I figured I'd take a look at Kraft's BBQ. I had never even picked up one of their bottles. To my surprise, their original BBQ sauce tastes exactly the same as Jack's Secret 6... because it has the same ingredients! I don't have a bottle of Jack's Secret 6 on hand to compare and make sure that's true, but to my recollection, there's no difference on the labels--nor in the flavor. So... as a BBQ lover I feel crazy saying this, but take a look at Kraft's BBQ sauce! Hey Aaron - GREAT news! Can't wait to try the Kraft Original BBQ! I need BBQ sauce recently and picked up a couple of other brands and, needless to say, was terribly disappointed. So glad to possibly have a new alternative to Garland Jack's. I still have four bottles of Garland Jack's so I'll compare the ingredients the next time I shop. This was one of the best sauces I've ever had too. I think the key point was the hickory flavor. I got mine at 99 cents store. After trying it once I was instantly hooked. Now it seems gone. Anyways I tried one of the Kraft sauce - aweful taste. 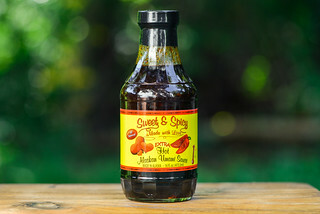 Right now I picked up Sweet Baby Rays hickory and brown sugar sauce at Walmart, it has a hint of the Garland Jack sauce. I think the key is to try and find a hickory based sauce. 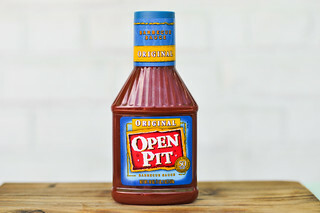 Aaron recommended Kraft ORIGINAL BBQ Sauce. I checked the ingredients label on both Garland Jack and Kraft and, Aaron is correct, the ingredients are exactly the same. I'm going to give Kraft a try! Marlene, that's gratifying to hear. Thanks for investigating and confirming my theory. I've been using Kraft Original for about a month now, and I still can't believe how legit it is. It's like the dark horse candidate for good BBQ! Thanks for the follow-up comment! How to get Garland BBQ sauce back on the store shelves? Its the best! Where can I purchase this product? Garland Jack's and Kraft Original taste nothing alike to my taste buds. I'm saddened that Garland's has been discontinued, it's the best sauce out there for us! THE ANSWER IS: You can buy it anywhere Kraft BBQ sauce is sold. ...Which is basically anywhere. If you're talking about the most current version of Kraft Original BBQ and Jack's Secret Six Original BBQ... they are exactly the same. Not only are they the same company behind the scenes (you'll notice Amazon even lists it as "Kraft Garland Jack's"), they are the exact same ingredients. Sugar, Tomato Puree (Water, Tomato Paste), Vinegar, Molasses, Apple Cider Vinegar, Modified Food Starch, Salt, Contains Less than 2% of Natural Hickory Smoke Flavor, Dried Onions, Dried Garlic, Spice, Mustard Flour, Paprika, Potassium Sorbate (to Preserve Freshness). As you can see, the good news is that Garland Jack's Secret Six Original BBQ is STILL FOR SALE. It just took off it's disguise and showed its true corporate colors: it's the new basic version of Kraft BBQ. Personally, I like the sauce, so I don't care what brand is behind it. we live in the brainerd Minnesota area and it is no longer sold here. Secret 6 is the best sauce ever. It doesn't mess my stomach up like the other. Kraft is well not good but after reading that Kraft has the same one will look for it at the grocery store and will ready the ingredients on the bottle. I always bought 6-8 bottles at a time. thanks to all your comments on this. Hey Aaron... Have you done any research or heard anything about the Squealin Hot Version of Garland Jacks? I loved that one and I was wondering if you knew if there was a Kraft version of it? I would assume it would say something about spicy on the Kraft label if there was one, but I guess I'd rather not haphazardly buy it unless I knew it was the same as the Squealin Hot... Thank you in advance for any help you can give! Hi, Carly. Good question. I have not done any comparisons beyond Jack's "Original" and Kraft "Slow-Simmered Original." If you do any footwork there, let us know what you find. I will say, at this point I've been using this particular version of Kraft for half a year, and I'm still a fan. The label gets little respect, but the sauce gets high marks! I hope you find your particular equivalent! Me and My family absolutely love Garland Jack's secret six BBQ sauce. But now it's gone, we can't find it anywhere. Come on really this is a great product. Where can we purchase at? Hi, Dave. See comment #26 here for the answer to your question. Hi All, I will try the Kraft Original BBQ Sauce since it was almost my favorite Garland Jack's Secret Six Sweet sauce. Anyone find a Kraft Brand that mimics the Garland Jack's Secret Six Sweet Brown Sugar? That was always my family's favorite!!! Where are the master chefs out there? Can I just add some Brown Sugar to the Kraft Original BBQ Sauce ?